At Shadyside Eye Associates, we recognize that dry eye is chronic disease that traditionally has been overlooked and under cared for… but we want to change that!! 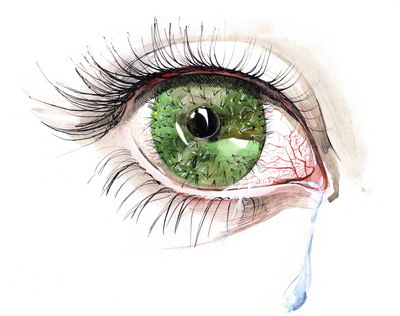 Dry eye is an inflammatory disease of the surface of that eye that can result in severe discomfort, contact lens intolerance, redness, pain, tearing, and even a decrease in clarity of vision. Several factors play key roles in causing and exacerbating this condition including environment, daily activities (computers!! ), medications, hormonal changes, and systemic conditions (skin disorders, arthritis, Lyme disease, etc). With proper attention and therapy, we are committed to improving, and even eliminating, these symptoms. We will go far beyond standard artificial tear treatment and into real medical and holistic therapy for the health and improvement of the ocular surface. Nearly 1 one out of every 10 Americans does. Dry eyes, or dry eye syndrome, is one of the most common eye problems today. People suffering from dry eye are 2 to 3 times more likely to experience discomfort, blurred vision and other problems when reading, using a computer, watching television and driving. Each case of dry eye is unique. Successful alleviation of symptoms can be achieved through a number of treatment options. After a thorough exam, Dr Alicia Telega will choose the treatment options that are best for your specific needs. Treating other medical conditions such as eye lid diseaese, are often necessary to alleviate the symptoms associated with dry eyes. Possible treatments include artificial tears, medicated eye drops, anti-inflammatory medications, punctal occlusion (a simple in-office eyelid procedure that can keep your eyes better moistened), diet modification, dry eye contact lenses and nutritional supplements. Often, a combination of treatments provides the best results. Dry eye symptoms often worsen at the end of the day or after focusing for a long time on a detailed task. The symptoms can be mistaken for allergies, other conditions, fatigue or eyestrain. . While symptoms may vary (and often do not include dry eyes at all), this chronic condition is one of the most common eye diseases and can be extremely painful and debilitating if left untreated. Thanks to The Dry Eye Center for content used in the creation of this webpage. ©2011 – All rights reserved. Reproduction other than for one-time personal use is strictly prohibited.